It can be difficult to find good local Washing Machine Repair expert. All Washing Machine Repair specialists on TrustATrader are vetted and reviewed to help you find the best trader for the job. A broken washing machine doesn’t seem like a big deal, until it happens to you. If your dirty laundry is piling up, don’t get in a spin; we can help! Check out our online directory of trusted, vetted appliance repair services near you. At Trust A Trader, we believe that every customer should be able to access great service from qualified professionals. We also know that it’s not like the good old days, where you know your local traders and who you can trust. Our online directory brings those days into the 21st Century, with a comprehensive online list of trusted and reviewed traders in and around your area. This helps to make it easier than ever to find a trader that you can rely on, even in an emergency. Here is a selection of reliable Washing Machine Repair located across the United Kingdom. If you're looking for local Washing Machine Repair near to you, please enter your location into the form field above to refine your search. Domestic Appliance Repairs in Bromley, BR2 9PB. Covering Bromley, Kent, Hayes, Westwickham, Coney Hall, Eden Park, Elmers End, Beckenham, Shirley, Croydon, Woodside, Penge, Anerley, Downham, Grove Park, Lewisham, Eltham, Bexley, Dartford, Swanley, Orpington, Downe and surrounding areas. Domestic Appliance Repairs in Croydon, CR0 9DR. Covering Croydon, Sutton, Bromley and London. Domestic Appliance Repairs in Chelmsford, CM2 8PD. Covering Chelmsford, Braintree, Witham and local CM Postcode areas. PLEASE ENSURE YOU LEAVE YOUR PHONE NUMBER ON ALL CONTACTS. THANK YOU. Domestic Appliance Repairs in Purley, CR8 2SD. Covering South London . Surrey . West London . West Kent . If you need someone to undertake washing machine repairs, it is likely that you need them as soon as possible, therefore you could end up making a hasty decision based on convenience over qualifications. Our vetting system means that you don’t have to check the credentials of a tradesperson. All of the repair service providers listed on Trust A Trader have been checked by us to make sure that they are relevantly qualified and insured, saving you time while ensuring that you can choose a trader with absolute peace of mind. Looking for an appliance repair person that you can trust? Don’t just take our word for it, take a look at what former customers say, too. Our review and rating system means that you can see honest reviews before you choose someone to repair your washing machine. AS well as a brief written review, former customers rate their experience across six categories, including cleanliness, quality and timekeeping. An overall star rating of up to five stars lets you see at a glance how others felt about the service that they received. "Spin Doctor came and mended my dishwasher. The service was very efficient. The phone was answered quickly and a text was..."
"Excellent service - diagnosed problem and rectified. Would definitely use again"
"A********* service, Very prompt response to initial call. Our dishwasher had several problems that were fixed in the most..."
If your washing machine breaks down, it doesn’t have to cost the earth. A good repair person may well be able to fix it for you. Washing machines endure a lot of wear and tear and, inevitably, some parts of the machine will break with extensive use. However, some parts can be repaired or replaced relatively easily, meaning that you can go for a few more years without having to invest in a new washing machine. 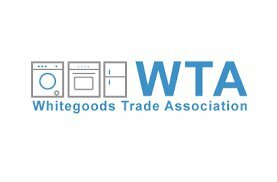 Looking for some help and advice in relation to Washing Machine Repair? Check out some of our most recent helpful information about this trade. All our traders are vetted before they become a member. Many of our traders have certain qualifications/associations to help meet our high standards. Here are some these in relation to Washing Machine Repair. At Trust A Trader, we are committed to helping customers to find the very best traders near them. We are local traders at heart and, to that end, we expect all of the traders in our directory to operate to our high standards. To this end, we encourage our registered traders to become members of relevant professional bodies. These memberships, accreditations and affiliations help them to stay abreast of the most recent technologies and legislation, so that they can continue to offer an excellent service. If you are a trader, it is crucial that you have the right insurance cover to make sure that you, your clients, and members of the public are protected. TrustATrader Insurance provides tailored trader insurance packages, so that you get the best possible cover at the best value. Don’t risk being under insured, get in touch today and find out the great deals we have for you.